2. Click on Frontoffice Settings. 3. Click on Language & Currencies. You now activated a drop-down menu in your Frontoffice with multiple translations. Don't forget to add the translations for your products as well (see below). In the Inventory module, open the product that you wish to translate, and scroll down to the Content section. 5. 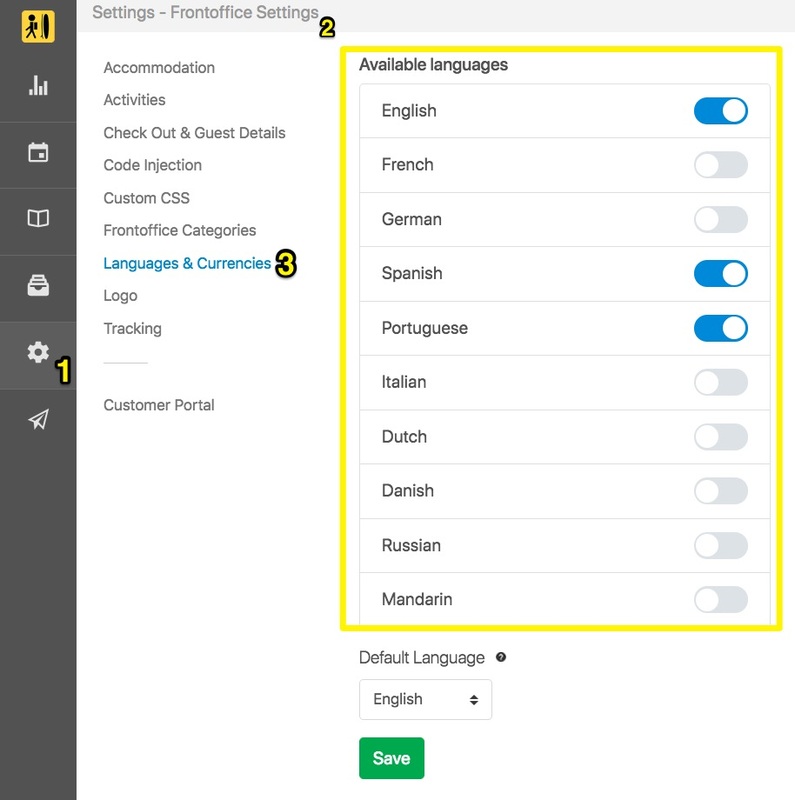 You can add more languages at any stage by selecting "Enable more languages"
Repeat this procedure for all other inventory items that you want to be displayed on your Booking Form in another language. Translations can apply to all Accommodation, Activities, Rentals, Services, Items and Packages. Every change to the default text has to be manually made to the translations. 1. 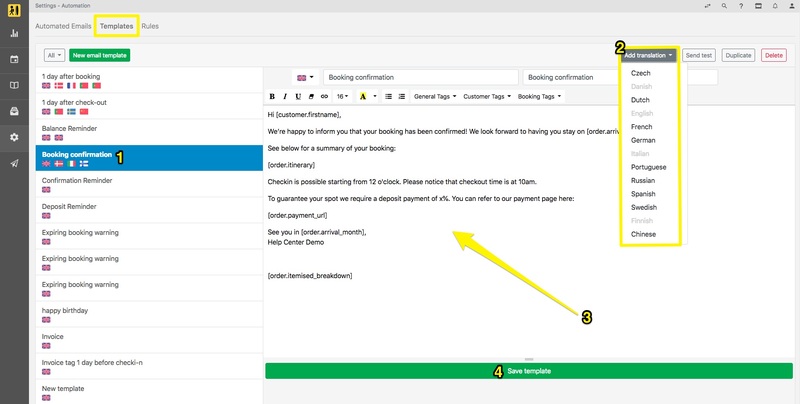 In the Templates tab on your settings, select the email template you wish to translate. 2. Click on the Add a translation drop down box and select the applicable language. 3. 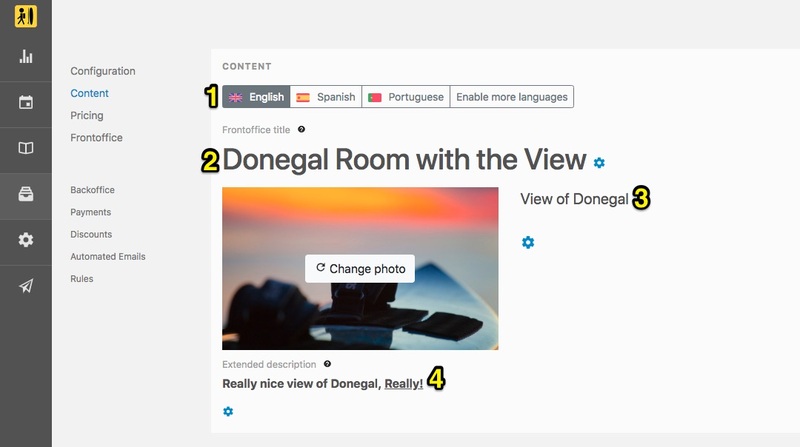 A new tab will open allowing you to write the email in the selected language.